One of the biggest faults of this publication is inordinately fawning too much on villains, too little on the antiheroes. Well, well, the biggest opportunity to right that has arrived in, of all movies, Maleficent, whose titular character first gained notoriety for an evil so prime that it thrives on hypersensitivity. 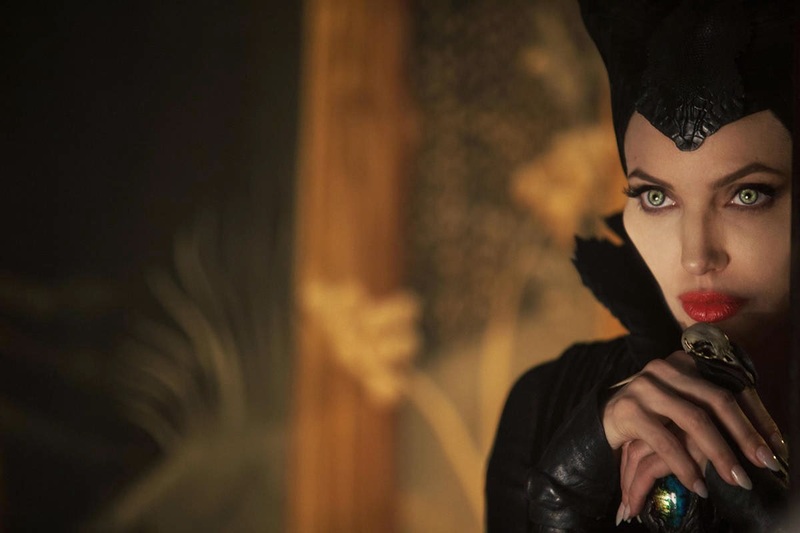 Angelina Jolie's take on Maleficent rectifies the black-and-white morality play of Disney's 1959 Technicolor spectacle. This Maleficent can't be made pink or blue, and she's more ambivalent than the inveterate dragon lady of old, taking pleasure in avenging bungled invitations. Yes, she's as imperious as ever, but she need not breathe fire or give colder speeches than the one at the christening to come across as divine. In one scene, she takes the throne rather wordlessly; verbosity would not prove transcendence as efficiently. Visually, Maleficent is more nuanced than Flora and Merryweather would have it. The film benefits enormously from the helmer's Oscar-winning sensibilities in art direction. This is Robert Stromberg's directorial debut, and he strives to build on earlier laurels. He succeeds, for instance, in displacing Maleficent from her gothic stronghold in the Forbidden Mountains to a haven more evocative of the galactic fairyland he conjured in Avatar. He also manages to play with the buffalo-horned fairy's silhouette dexterously, so that she's demon and angel all at once. All in all, Maleficent wrests the character from the high-camp villainy that made millions admire her as a paragon of take-no-prisoners female power. It compensates for consciousness-raising in other ways, most notably by dashing the very notion Disney has been indoctrinating young girls with for decades: that self-actualization lies in the romantic conquest. True love still conquers all in this movie, rest assured, but viewers might beat themselves up for not realizing it in the years since Prince Philip first sped-dated Aurora in theaters. Nevertheless, 50 years, to a steadfast heart, are but a day. The tale is as old as time, true as it can be, and you'd swear you knew it once upon a dream.